In 14 AD when Caesar Augustus, the first Emperor of Rome, died at age 75, Jesus of Nazareth was in his late teens (born c. 6-4 BC). 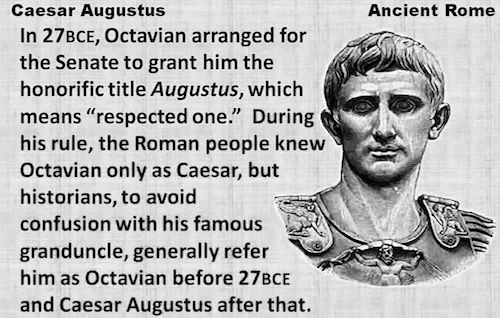 Augustus aka Octavian (birth name) was c. 57 when Jesus was born and had been Caesar since he was 36 when he began his reign in 27 BC. 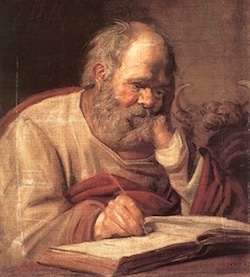 The Biblical Gospel of Luke (c. 59-63), one of the four biographies of Jesus, was always pinning Biblical happenings to other contemporary global men and markers. Augustus was designated by his great-uncle Julius Caesar to be his heir. When Julius Caesar was assassinated in 44 BC, Octavian consolidated the fractured Roman Empire and became “Augustus,” meaning “majestic, great, illustrious one, respected one” of Rome. He refused to be deified as Julius Caesar had himself declared and Augustus’ rule was a benign and kind one. He took the Roman Empire from a Republic to a Monarchy. 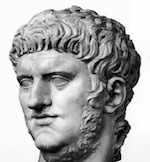 He was the first Emperor of Rome and possibly the best of the official 71 Emperors. 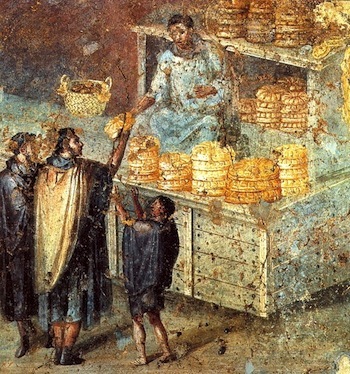 Because of his family connection to the Caesars, all other Emperors of Rome were called “Caesar.” Julius Caesar lived on. As has Augustus. 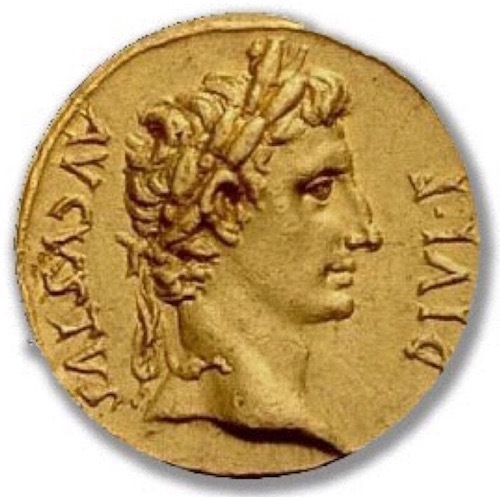 As he reigned and right before Augustus died in 14 AD, he had written a record of his good deeds as Emperor—Res Gestae Divi Augusti, The Deeds of the Divine Augustus. After his death many copies of his Deeds were carved on temples and monuments throughout the Roman Empire. Some survive in part, but at Ankara, Turkey a full text of his Deeds were found in a temple dedicated to Augustus. Written in Latin and Greek, it is called Momumentum Ancyranum of Ankara. 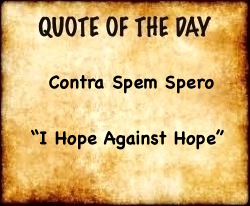 “I often waged war, civil and foreign, on the earth and sea, in the whole wide world, and as victor I spared all the citizens who sought pardon. As for foreign nations, those which I was able to safely forgive, I preferred to preserve than to destroy. About five hundred thousand Roman citizens were sworn to me. I led something more than three hundred thousand of them into colonies and I returned them to their cities, after their stipend had been earned, and I assigned all of them fields or gave them money for their military service. 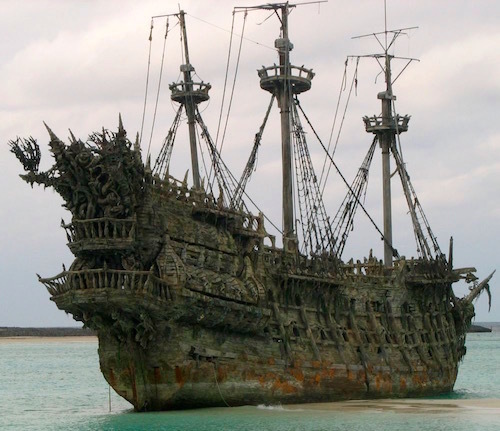 I captured six hundred ships in addition to those smaller than triremes”. Augustus freed the oceans from the pirates who had made ocean travel unsafe and ushered in the Pax Romano, the Roman Peace. 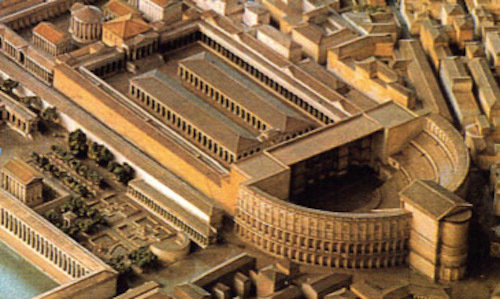 Because of the high number of people in the censuses there is some speculation that the censuses taken by Augustus were Empire-wide and not just of the population of Rome. 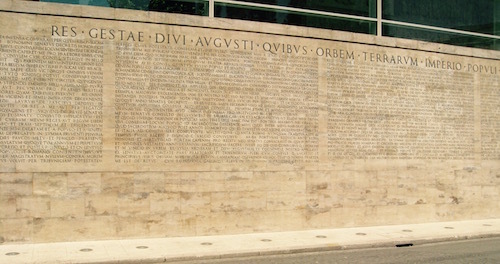 But during a 1941 excavation at Ostia, Italy at the mouth of the Tiber River, an inscription was found indicating that at the time of Augustus’ successor Tiberias (14-37 AD), the population of Rome was 4,100,000. 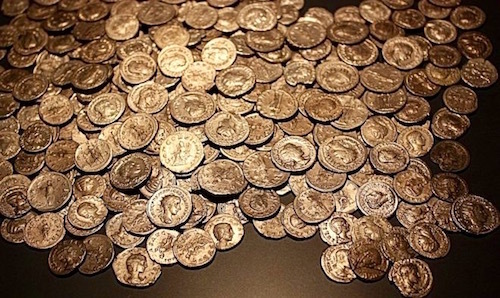 So there were many more millions in ancient Rome than some historians think there were. 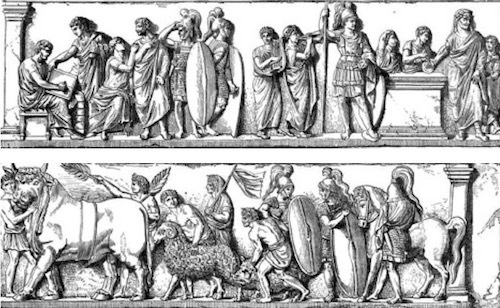 People going to a census-taking regulated by the Censor who was responsible for numbering Roman people every five years and for regulating morality. (Origin of our word “censorship). “1. All the expenditures which he gave either into the treasury or to the Roman plebs or to discharged soldiers: HS 2,400,000,000. (4 billion, four hundred million! He was a very generous ruler. It was expensive to be CAESAR). Augustus Caesar—reigned 27 BC until his death in AD 14. The Caesar during that encounter was Tiberius. A short classic cut from the I Claudius series featuring John Hurt (1940-2017) as the depraved and insane Emperor Caligula (from 37 to 41 when he was assassinated).